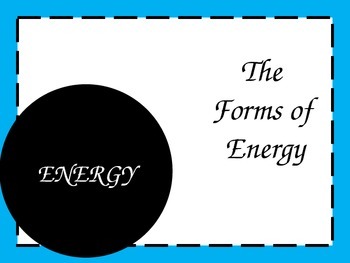 This file includes a 13 slide PowerPoint to introduce forms of energy. 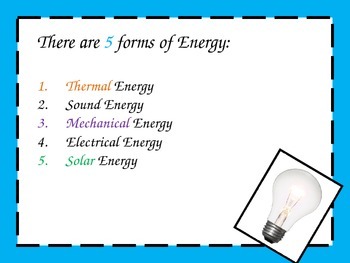 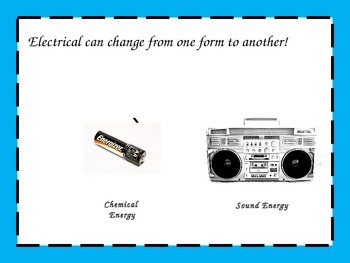 Sound, light, mechanical, thermal, and electrical energy are included in this power-point. 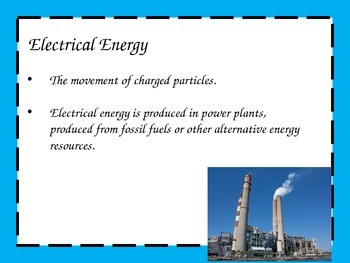 Please Note that the Text used on this Power-point is Comic Sans, I do not know why it is showing a different form of text on the preview.